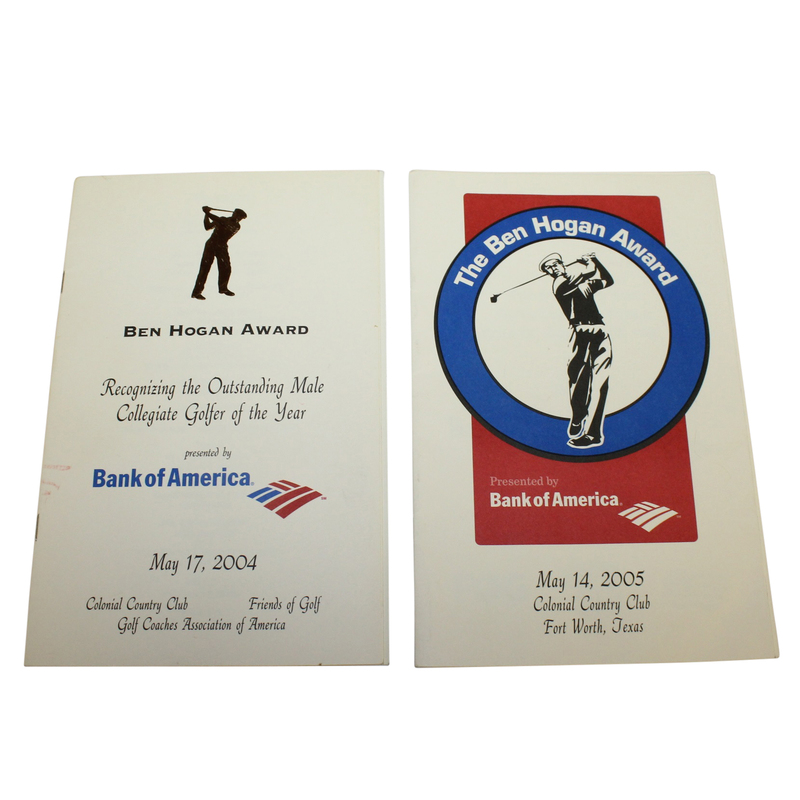 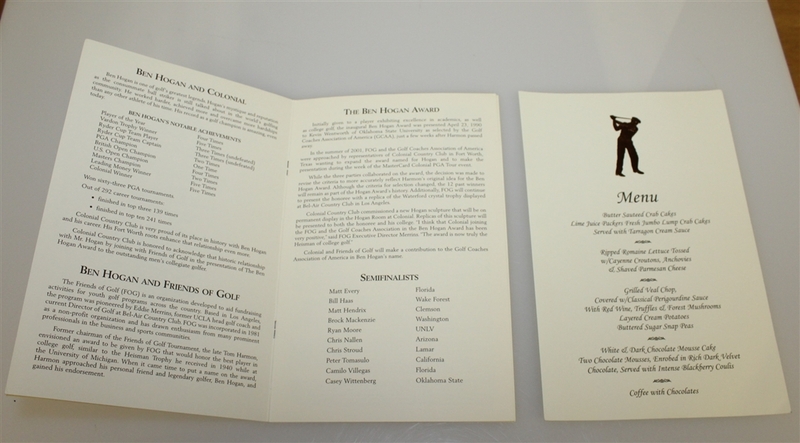 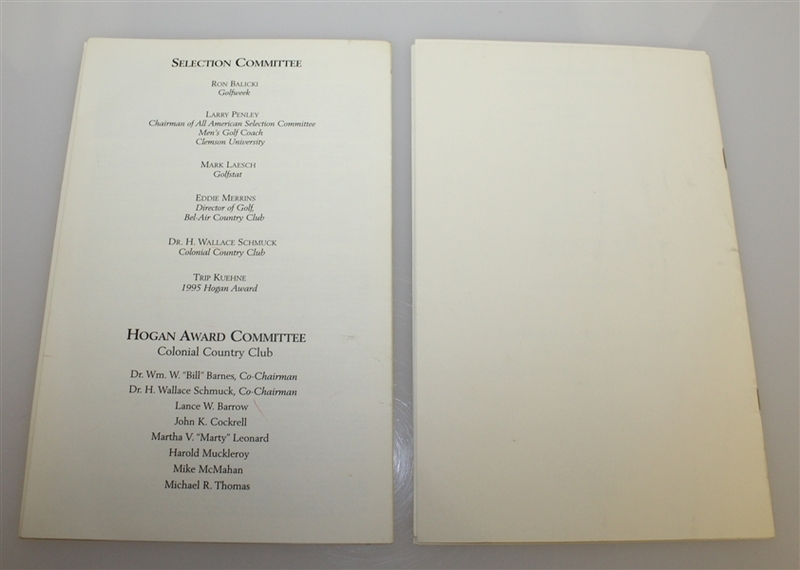 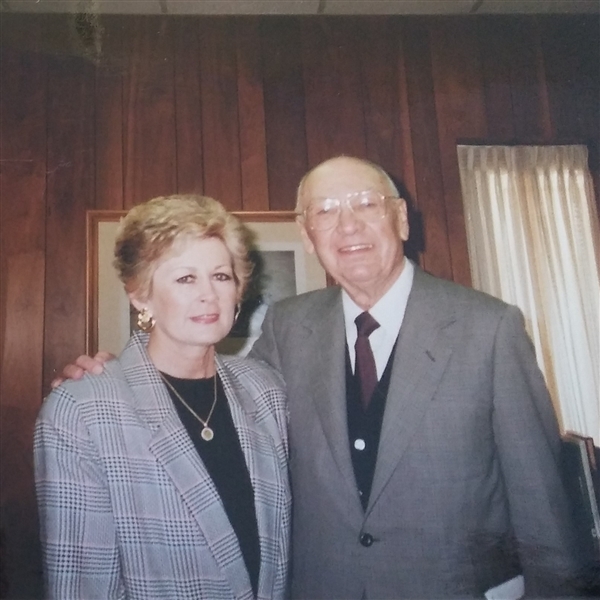 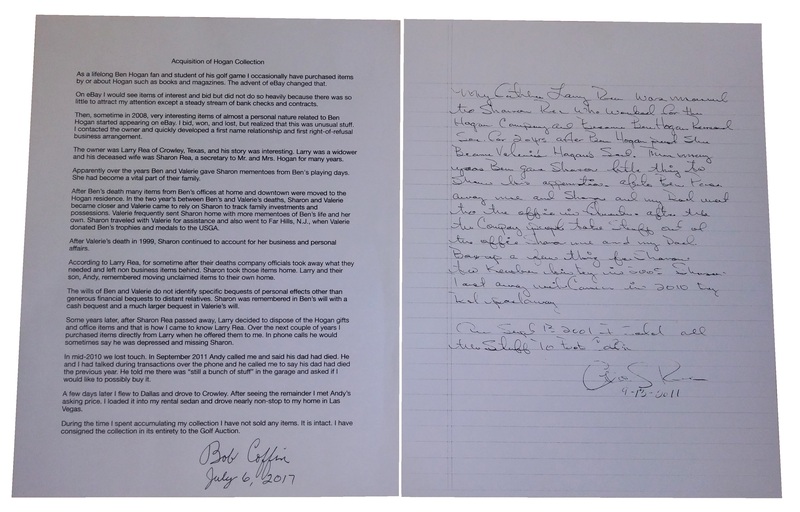 The Ben Hogan Award is given annually to an outstanding collegiate golfer. 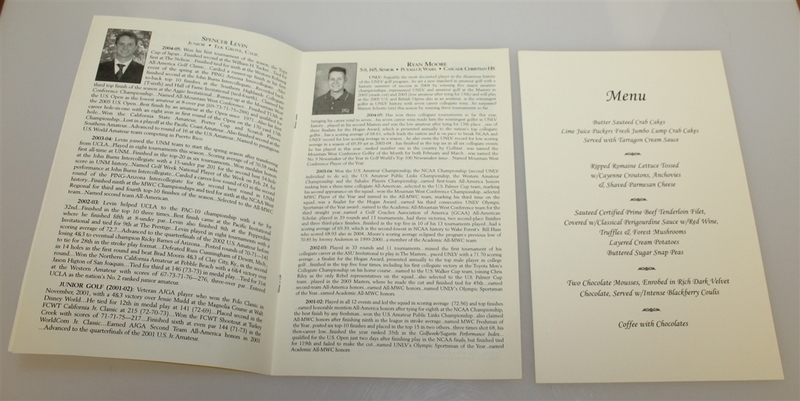 Programs from the 2004 and 2005 ceremonies are offered here. Bill Haas of Wake Forest had the honors in 2004, and in 2005 it was Ryan Moore of UNLV.